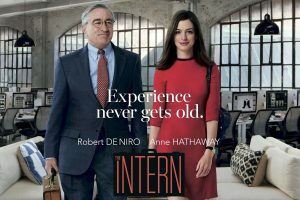 I watched the movie “The Intern” by a recommendation from a friend and did not feel sorry even for a second. The movie is a very refreshing experience, it feels very light-footed, so to say, with an interesting story told expertly by good artists in a very convincing way. The current movie landscape is almost all “bigger than life” and this movie stands out being “just right”. Interestingly, the story has come at just the right time for me. The CEO of an Internet start-up is being pushed by venture capitalists into accepting a downgrade and hiring another CEO to actually lead the business. I had this discussion twice this week with potential business leaders. It seems all the hype nowadays is to get money from venture capitalists or investors and get going real quick. What people forget is that this way they give up the essential control of their own business. It’s not theirs anymore and they would have to accept some decisions by the real owners – the financial owners of the company. That’s a bad idea, don’t do it unless you absolutely must. Make your own company on your own terms with your own effort. What’s the hurry? 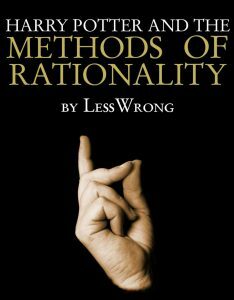 And a large part of the movie’s plot is also about that – make your own company your own way. But, of course, there is more than that. A love story, a get back into the action story, a dad going astray under the pressure of being in a woman’s role in the family, a woman going psychologically ruined under the pressure of a man’s role in the society – it’s all there, all greatly shown, without excesses, without too much hype, but very much life-like. And, yes, it’s great when you are accepted as never being too old for the job if you know how to do. Anyway, the story is great, Robert De Niro is still wonderful, Rene Russo is splendid and it’s definitely a worthwhile movie to watch. I normally run two sets of tires in the standard original size 275/55 R17 – one for summer and one for winter. That is because in most of Europe I have to get winter tires with the so-called “snowflake symbol” to be street legal in winter. The original equipment tire is Dunlop SP Sport 5000, although named “mud and snow” (M+S) tire, it doesn’t have the symbol, so I can only run those in the summer. 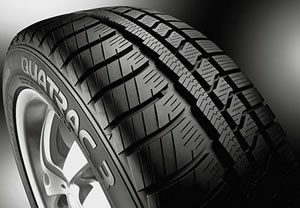 I had a set of Pirelli Scorpion Ice+Snow for the winter and they were quite all right. Except that it always annoyed me to have two sets of tires and having to change them. And, if you run Pirellis on dry warm pavement and break real hard, the tire seems to boil and you are suddenly skidding just like in winter. So this year I decided to look for a proper all season tire that would be also street legal in winter. I found Vredestein Quatrac 3 to have the right designation – it sports the snowflake symbol. So I decided to go for the Vredestein, especially since they were only 165 Euro against the 155 Euro for the standard Dunlop. Now after running them for two months and three thousand kilometers, I say I am impressed with them for the dry and wet road. They seem to be noticeably softer than the Dunlop and that creates a smoother, quieter ride. The difference is especially noticeable when you ride over small ridges or those speed bumps – Vredestein is much, much quieter and less bumpy over those. The handling is good, I have a feeling they have seriously more grip than the original tire. I like both the stability in curves and the ability to stop more than with the originals.I didn’t have but a few chances to drive in the rain and although I was careful at first the tire has managed both the wet surfaces and overabundance of water quite well. I did not find any downsides at the moment, so I am really, really happy with the choice so far. I am not usually writing reviews of things but this time I am impressed so here it is. I recommend this tire wholeheartedly as a better replacement than the originals. How they handle on snow and ice remains to be seen but I have my hopes high. One more thing: the tire has a very, very “oily” feeling when brand new. The first couple of hundred kilometers was like driving on ice. It settled quickly and now the grip is fantastic but be careful at the beginning.